Get Your Go-Go Boots On! 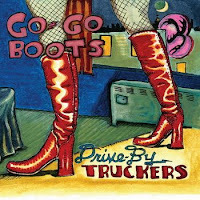 Drive-By Truckers released their 9th studio record Go-Go Boots on Feb 15th. Rolling Stone gave Go-Go Boots 3 and a half stars, but the Rolling Stone Community voted 5 stars. Spin Magazine gives it 7 out of 10, and the Chicago Tribune gives 3 out of 4 stars, but Slant Magazine gives it 2 stars out of 5. Hear-Ya gives it a positive spin. Crawdaddy Magazine says the "Truckers are still firmly rooted in the rural Southerner’s struggle to put some shine back on the tarnished American dream." Detroit Metro Times says that "Anyone expecting the same old twang 'n' guitar crunch the band made its name on will be plenty surprised by this album's smoldering country-soul aesthetic." Junkyard Opera suggests repeated listenings are needed before judging. Assault It puts Go-Go Boots at the top of the second tier of DBT's records. Not a bad place to be. 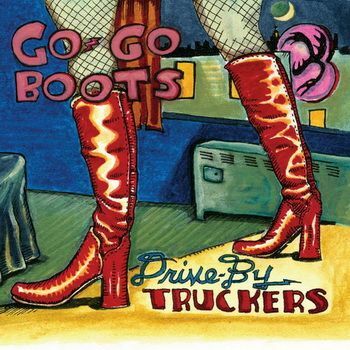 3 Minute Record says that "the Drive-By Truckers do not make a bad album." Jambands asks you to really listen to the first 4 tracks and call them in the morning. Just as the band did when releasing last year's The Big To-Do, they put a series of short films online to promote the release of Go-Go Boots. Definitely check DBT on tour!